You are at:Home»Grub»TheGLife’s Pre-Summer Challenge starts tomorrow!!! TheGLife’s Pre-Summer Challenge starts tomorrow!!! Need to shed those last few pounds to be beach body ready??! Then we have the Challenge for you! Our Whole30 30 day challenge starts tomorrow, Monday, May 22nd. We only have these 30 days left before the 1st Day of Summer!! Why Whole30? Because it works! Our staffers have lost between 15-20 pounds within their 1st Whole30 30 days challenge. Is it easy? No. 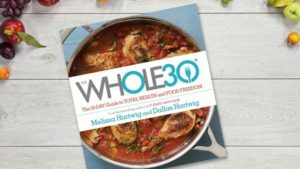 But as Melissa Hartwig, Founder of the Whole30 program states in her book “The WHOLE30 -The 30-DDAY Guide to TOTAL HEALTH and FOOD FREEDOM”, “It is not hard. Don’t you dare tell us this is hard. Quitting heroin is hard. Beating cancer is hard. Drinking your coffee black. Is. Not. Hard.” We love that quote Melissa!! And it is so true. Is it challenging? YES. Does it work and help change your life? YES! For the next 30 days, starting tomorrow, The G Life will post a recipe a day, along with tips, to help you through your 1st Whole30 program. If you have already tried the Whole30, but need to shake up your routine and need a refresher, we are here to support you as well. In the meantime, head over to www.Whole30.com to learn more about the program. We found a good starting place is in their downloads section, see: https://whole30.com/pdf-downloads/ where you can easily find Program rules and the all important Shopping list! Thanks! Hope you join us! It works! And it’s a Great program! Keep us posted on your 30Day journey! Here’s to a Great Summer ’17!